With access to the transcript, you can analyze the previous conversation and address anything that person needs to communicate with you. 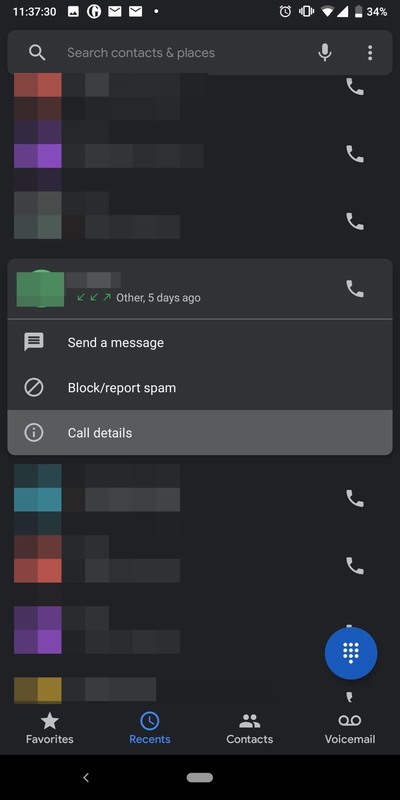 You can also treat the Call Screen feature as a Visual Voicemail, where callers leave you messages which you can review at your convenience. Or you can document it for your own records. 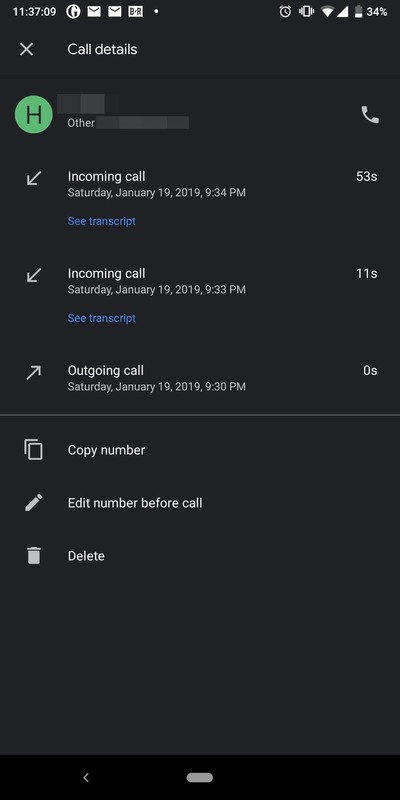 Either way, having access to transcripts only enhances the Call Screen feature, making it another reason why you would want a Google Pixel device. To minimizing you running into any problems, update your phone app to the latest version via the Play Store. This will ensure you have access to both the Call Screen feature and the ability to view the call screen transcripts after the fact. Open the Phone app and switch to the Recents tab by either swiping left or by select "Recents" along the bottom of the screen. In the list, find any entry that you previously used the Call Screen feature with and tap either their name or number (don't select their picture). A menu will appear right below the listing where you'll find several options — choose "Call details." On the new page, you will see all the calls between you and the individual made that day. Any call where you used the Call Screen feature will have an option labeled "See transcript." Select this text to view the transcript of the screened call. 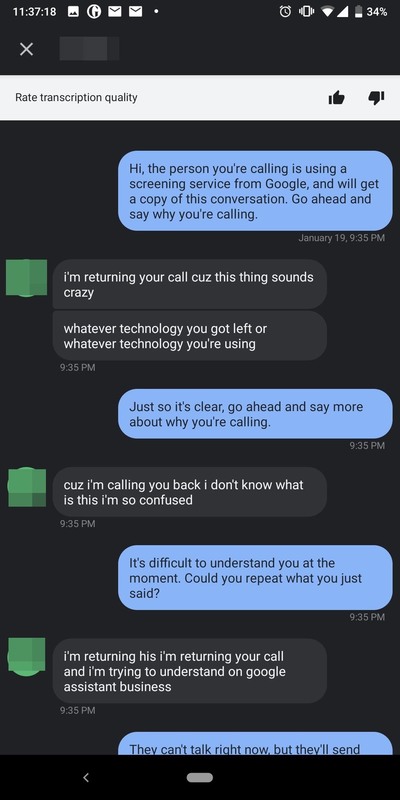 The transcript will only include the portion of the conversation when the caller communicated with your Google Assistant. While there is no option to print the screen, you can screenshot it for your records if you desire.